… camminando per i vicoli della città vecchia siamo stati sorpresi da un improvviso acquazzone. Riparatici sotto una tettoia di lamiera, aspettavamo che spiovesse prima di tornare per le strade di Nablus. Lì abbiamo conosciuto Mustafa Azizi, un giovane video maker palestinese. Giusto il tempo per presentarci e siamo stati raggiunti anche da Mita e Zac, due ragazzi dell’ISM, anche loro alla ricerca di un luogo asciutto. Abbiamo passato l’intera giornata raccontandoci le nostre storie. 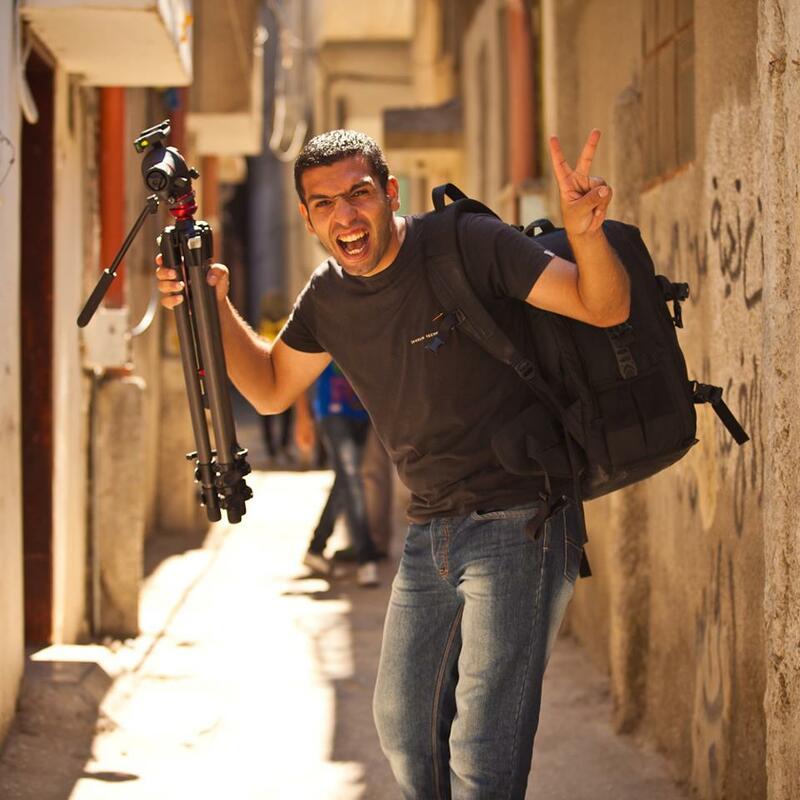 “ I am Mustafa Azizi, a Palestinian filmmaker from the people under occupation. My art offers images of the resulting occupation, carrying dreams of ordinary people to the world in order to narrate the horror of being under occupation, to look for hope among the rubble of difficulties. This film was made because of an increase in the recent attacks of the occupation on the citizens and the various forms of stealing and burning land and killing Palestinian livestock farmers , and because the settlers have become the first line of Israel’s attack against the Palestinian villages. The idea of this product was to address the world in its own language and explain to it the width of the issue of Palestinian Civil Resistance’s their weekly protest against the expansion of settlements, land theft, occupation. The closure of the main entrances to these villages, and daily attacks from settlers and army.